Fitzwilliam Darcy has avoided the entrapments of dozens of desperate maidens seeking a wealthy husband...until the Netherfield Ball. He could lose himself in her fine eyes, but there's just one problem: She doesn't want him. Elizabeth Bennet seeks a brief respite from the crowded ballroom only to find herself wrapped in the arms of the one man she despises - Mr. Darcy. When Darcy's enemy is shot to death, he must choose between Elizabeth's freedom and his own honor. Jane Austen's Pride & Prejudice meets the wild, wild, west. In 1869, females are in short supply in the west, while a single man in want of a wife is rare in the east. When lonely Charles Bingley convinces his good friend, Will Darcy, to write a letter offering marriage to Miss Jane Bennet, she likewise convinces her sister, Elizabeth, to pen the reply. 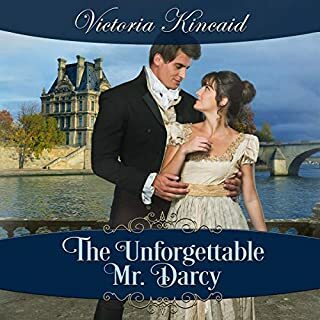 Elizabeth is struck by the beauty of the letter and responds by opening her heart to the Oregon wordsmith, who she believes to be Mr. Bingley. It's love at first letter for both the couples. Misunderstandings and bad impressions abound, as the true identities of the authors are discovered. 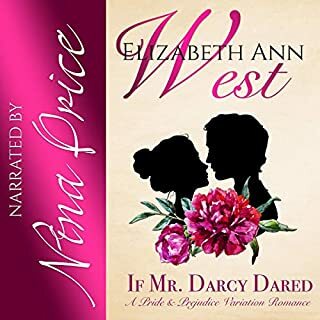 In the days following the double wedding, Will and Elizabeth Darcy face challenge after challenge, while Mr. and Mrs. Bingley appear to live in wedded bliss. 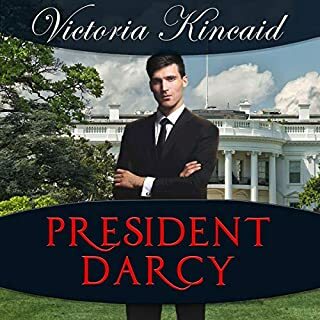 Will Mr. and Mrs. Darcy find their own true love? In this sweet variation of Jane Austen's Pride and Prejudice, we will see open disdain shift to a wary friendship, and the wary friendship grow to the tenderest of emotions-or will we? Find out. I have always thought of Pride and Prejudice romance books being set in England and of slightly earlier times. This book is primarily set in Oregon and in mid-late 1800's. I loved it! The author was new to me, but I've listened to the narrator before. I really thought that Wendy Rich Stetson was able to bring so much emotion to the characters she performed. I thought it was awesome how she could change her voice for the various characters. This book is full of so many emotions from embarrassment, disdain, heartbreak, redemption, and satisfaction. The author was able to write some of the characters as so endearing , while others were vile. I thought she did a great job with the dynamics and was able to write such a lovely story. My review is not a synopsis of the book, but rather my opinion of it. I was provided with this review copy audiobook at my request for no charge and have voluntarily written this review. I will most definitely look for more books by both the author and narrator as they are so talented. This is a standalone listen. Ok, this was my first PP variation located in the USA. It did take me a moment to wrap my head around the storyline, but honestly once I did I really enjoyed it. Elizabeth is by far my favourite character in any book I`ve read, she is smart, strong and my lord funny. This was my first book narrated by Wendy Rich Stetson, and I really enjoyed her in the book immensely. Darcy amd Elizabeth in thr wild west? Pemberly in the wild west draws you in. The story starts out a bit slow as you get to know the characters. As the ladies arrive to meet the men Elizabeth has a bit of mishap and Darcy instantly judges her. For the woman he is to marry he treats her really badly. Enough so that you really don't like him in that part of the book. But as mishaps go another one happens soon after their wedding, causing them to be thrown in quite the awkward situation. Which gives them the proper time to get to know and respect one another. The story gets really fun when Jane and Charles go to bring his sister home and visit Jane's family. Lots of little surprises make the story funny and fun. I love how she wrapped the story up in the epilogue it gave the book a very nice ending. If you are a fan of these characters you will love the story. Nice job on the narration. When I first read the title I was curious about how the story would be different. I was thinking of the original story by Jane Austin and merry old England. As the narrator began reading the story I was surprised by her American accent! We were not in England. But in the early days of the United States when there was plenty of wide open spaces. Getting from the East to the wide open spaces of the West was by ship, train, and or stagecoach. Men wore guns at their waist and rode horses. It was a time when men were plenty but women were few. So began the time of Mail-Order Brides. Men and women corresponding by mail and complete strangers agreeing to marry each other. And so the adventures begin! This book was a complete surprise to me filled with wit and a great sense of humor. I enjoyed every minute of this version. I was a bit sad that it ended so soon. You will have a fun ride with Elisabeth and Mr. Darcy and the rest of the characters you will meet along the way. Get this book!! This was a good story to listen to! The narrator did a great job, too! I'd happily listen to another story written by this author and/or narrated by the same narrator. I couldn’t even finish this book ... these characters were so unrecognizable that I struggled but could not find Elisabeth or Darcy in them. They were just too rough and crude. I’d skip this one if I were you. Story is good, narration not so much. 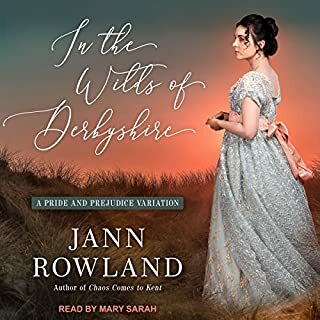 I enjoyed the variation of this Pride and Prejudice story but accepting the narrator's voices and twangy accent for Darcy and Bingley was difficult. I've never known a person from Oregon to twang. Ugh. I can’t believe I slogged through to the end! Maybe a few lines might have been titillating 200 years ago… Or maybe if the narrator hadn’t read every line breathily like something important was happening, I wouldn’t have sprained my head from rolling my eyes. If you could sum up Mr. Darcy's Mail-Order Bride in three words, what would they be? It’s a very different angel on pride and prejudice. Completely moving the story to the Wild West was a pleasant surprise. 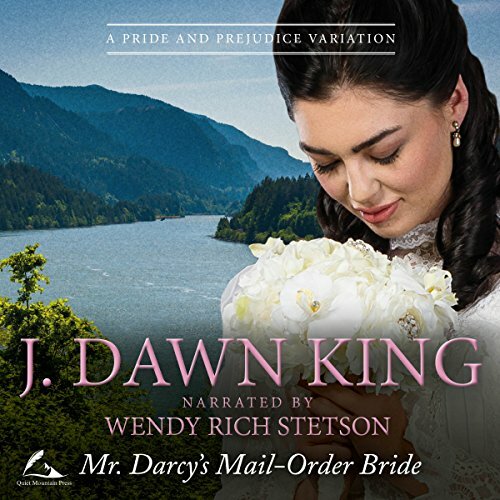 Not my favorite J Dawn King, but still good. I have loved all of Ms King's variations on pride and prejudice, but I found this one particularly refreshing. Being set in America brought a whole new flavour to the story and yet despite this none of the characters personalities were lost. For some reason when reading this James Stewart comes to mind every time Will Darcy is mentioned. I am eagerly awaiting this author's next book. 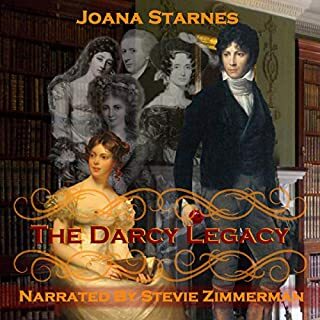 I would recommend this to anyone who enjoys a good regency story and not only Austen fans. I am sad to see the free sneak peaks at Ms Kings stories have come to an end, but I am grateful the opportunity lasted as long as it did. 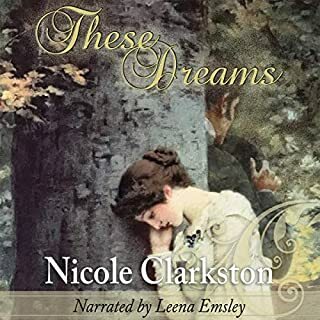 I do hope that this author does continue publishing these audiobooks, as each one is like taking a little holiday away from reality and leaves me with peace in my heart and a smile on my face.